Doug Heavy Runner and Christopher Hayes only intended to spend one night satisfying their libidos. That night turned into a weekend neither of them wanted to end. Real life came calling, and they went their separate ways. When Doug returned back to the small town he reluctantly called home, and where he was also a sheriff’s deputy, things started to quickly spiral out of control. Doug was begrudgingly tasked with escorting a family member of a deceased local man through the coroner’s office. And when he sees the man he spent last weekend in bed with step out of his rental car outside the coroner’s office, he knew his life was fixing to get complicated. Understatement of the century. Soon the two discover that nothing and nobody in the town is quite what they seem. Disturbing truths are fixing to be revealed, and the story is just beginning. Detective Christopher Hayes has done everything his entire adult life to try and separate himself from his past. Now his past has caught up to him, and the only thing he can do is face it head-on. Getting shot, finding out that his brother died, and then having his partner that he’s secretly been in love with for years kiss him after making it clear that he was straight and would never be interested in Christopher beyond friendship, is just the beginning of this crazy roller coaster. All Christopher wants to do is get away from San Diego and his partner’s betrayal, get his deceased brother squared away and be done. Of course nothing happens like he planned. Deputy Doug Heavy Runner has spent his life trying to get away from Montana and the bigots in the small town he’s from. When he can longer stay in Miami, he returns to Montana and begins a life he never wanted. Due to the prejudices of the small-town locals, he has to live his life above reproach. He has to hide his sexuality and especially his past. His past is part of why he feels he deserves the lonely and mundane life he’s become accustomed to. Doug is part of a volunteer search and rescue team. Being tasked with the recovery a dead body hanging off the side of a cliff is strange enough but it’s what’s discovered after that that has him questioning everything and everyone. This is the first book in the series, and I was hooked. This series has everything. 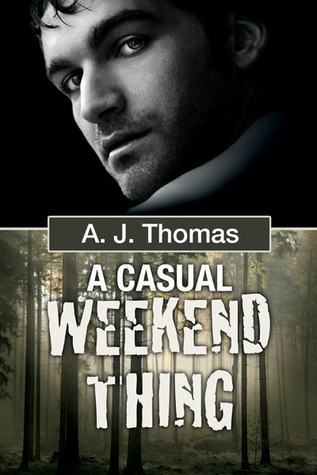 A well thought-out mystery suspense with breath-catching hotness. I was on the edge of my seat for this entire read. The books just get better and better as they continue. This is a must-read.